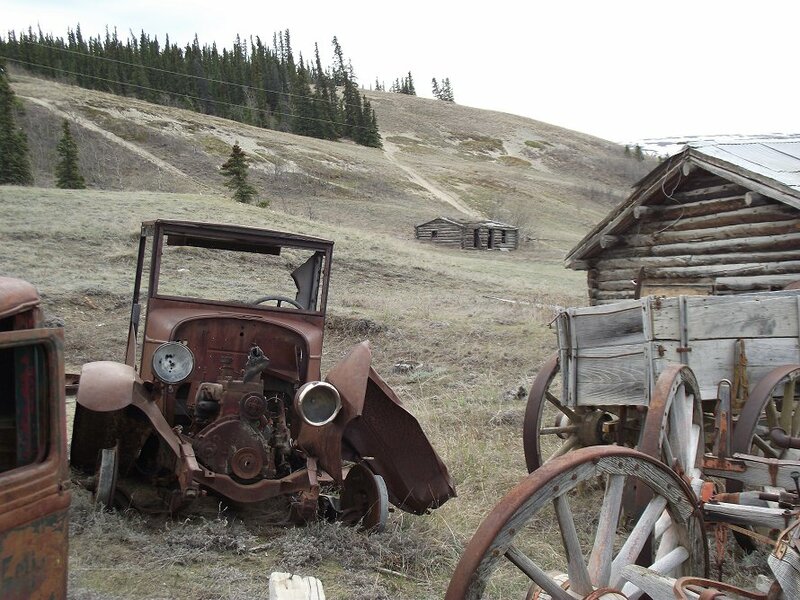 Several trucks and a wagon that worked on the Kluane Wagon Road have been set up near the interpretive signage. The hill seen in this photo is the sand-and-gravel terminal moraine of the massive glacier that once filled this valley. As glaciers advance, the material that they scrape away builds up a wall at the front - when the glacier retreats, that wall remains as the terminal moraine. May 21, 2011.